The Papola Team at Network Real Estate is excited to announce that Kari Rich-Swann, licensed REALTOR®, has joined as an Administrative Assistant. Kari brings real estate and administrative experience to the Papola Team and is a welcomed addition as the company continues expanding! Born and raised in Nevada County, Kari attended Nevada Union High School where she enrolled in ROP medical careers. There, she volunteered at Sierra Nevada Memorial Hospital and at a local physical therapy office while working part time in a mortgage office. She continued another four years after graduating until starting her real estate career as an assistant. She became licensed in January 2016 and has enjoyed the real estate industry immensely. 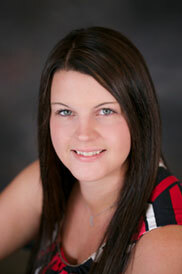 Kari enjoys baking, crafting, and spending time with her husband while keeping busy with her two boys, ages 2 and 7. As a Nevada County native, Kari has in-depth knowledge about the area that enhances what the Papola Team already offers to their clients.